Pharoah’s saxophone sound is unforgettable — deep, raw, humming with overtones and laden with fervent feeling and serene beauty. Sanders’ recordings include the classic “The Creator Has a Master Plan,” from his 1969 album Karma and 1996’s Message From Home, a compelling mix of funky African chants, pastoral songs and highlife grooves. “I like a dark sound with more roundness, more depth and feeling in it,” Sanders said at the time. Mr. Sanders recorded history includes over 40 albums as a leader. All Music Guide lists over 800 credits as a composer and / or multi-reedist (soprano, tenor, flute, piccolo, clarinet) spanning decades going all the way back to 1955. 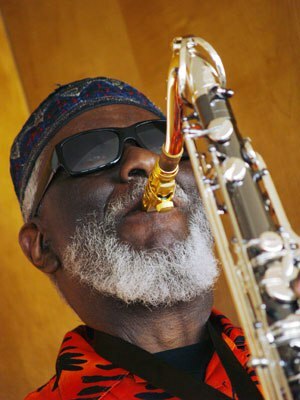 In 1961, he moved to New York City, where he first began to use the name “Pharoah.” Sanders formed his first group in 1963, with pianist John Hicks, bassist Wilbur Ware, and drummer Billy Higgins. However, he came to greater prominence playing and recording with John Coltrane’s band, first on the album Ascension and then on their dual-tenor recording Meditations (both 1965). Sanders was strongly influenced by Coltrane, including spiritual elements such as the chanting in his release Om. In 1968, he participated in Michael Mantler and Carla Bley’s Jazz Composer’s Orchestra Association album The Jazz Composer’s Orchestra. A year later, Sanders recorded one of his most commercially successful albums, Karma, featuring the 32-minute track The Creator Has a Master Plan with vocalist Leon Thomas’s unique yodeling and pianist Lonnie Liston Smith. In the 1970s, Sanders began experimenting with African rhythms, such as on his 1971 album Black Unitywith bassist Stanley Clarke, which continues to influence his music (in 1994 he traveled to Morocco to record The Trance of Seven Colors with Gnawa musician Mahmoud Guinia). Towards the end of the decade and into the 1980s, he continued to explore other styles of jazz, such as modal and hard bop, and ventured into rhythm and blues. 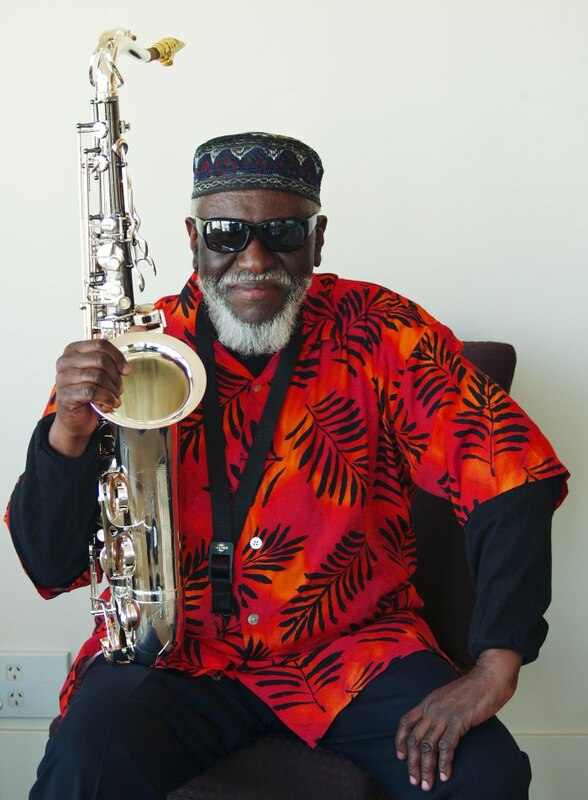 At age 75, Pharoah Sanders continues to actively tour both nationally and internationally.